Who needs a class on how to become a better speaker? The obvious answer is EVERYONE. Whether you want to read your poems to friends, host a radio show, be a comedian, a teacher or just be more confident in a business meeting—better public speaking skills are necessary. In the past: “Practice, practice, practice,” the answer to the old joke about how one gets to Carnegie Hall always seemed the best route to take. But practice, though terribly important, is only one ingredient that will help in making you a better speaker. 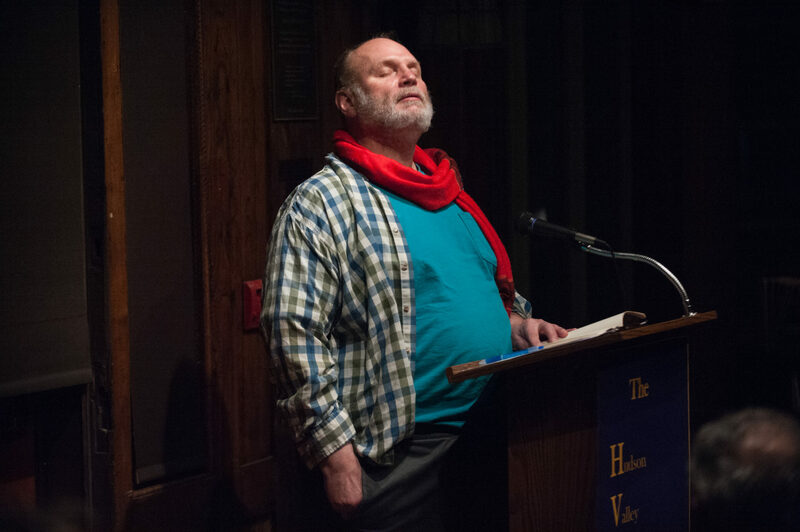 Bill Buschel—after more than 25 years behind the microphone as the host of the radio program, Graffiti—and having given dozens of lectures, workshops, poetry and story readings—and hosting the Open Mic here at the Hudson Valley Writers Center—is prepared to share the techniques he’s developed over the years to become a better public speaker. Over the course of these four sessions you’ll be taken from First Steps—manuscript writing and script preparation for public reading—through stage presence and presentation. Using techniques culled from the worlds of radio, poetry, acting, storytelling and juggling—yes, juggling—you’ll learn how to become a better public speaker and have fun doing it.